Solar Power Northeast. SEIA, Smart Electric Power Alliance. Westin Boston Waterfront, Boston, MA. Fraunhofer CSE presents its research at Booth 1. Adhesive-based solar mounting systems actually keep buildings cooler, reduce HVAC expenses. Massachusetts State Reps Visit Fraunhofer CSE’s Living Lab in South Boston. Visualizing Value: Game-Changing Solar Technologies for Homeowners. Fraunhofer CSE unveils plug-and-play PV systems. Fraunhofer CSE Showcases 2 Commercial-Ready Plug & Play Solar PV Systems At 2016 Demo Day. Fraunhofer CSE Presents Live Demo of Plug and Play PV to Advance Residential Solar. Fraunhofer CSE Demonstrates Commercial-Ready Plug and Play PV Systems. Fraunhofer CSE demos 'plug and play' PV. Fraunhofer CSE Center Director Discusses Democratization of Solar Energy at German American Conference 2015. 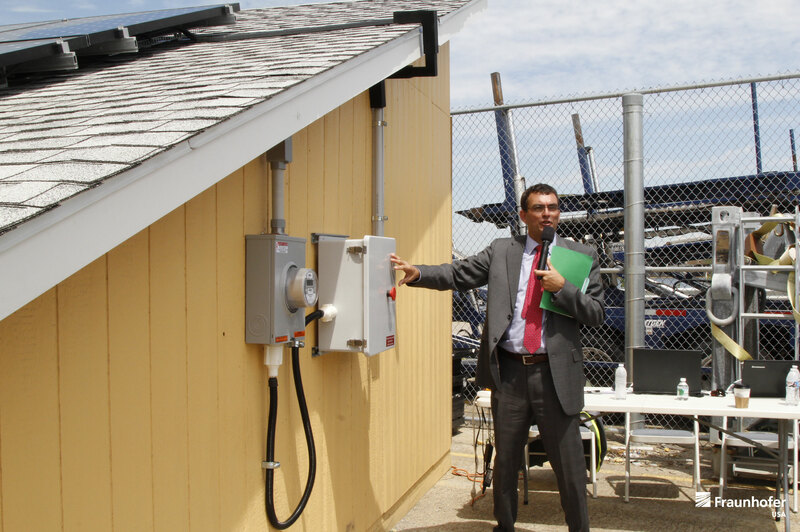 Fraunhofer CSE Hosts Installers, Municipality Reps at Plug & Play PV Systems Progress Demo. Fraunhofer CSE showcases Plug & Play PV Systems at Intersolar North America. Intersolar North America. Solar Promotion GmbH, FMMI. Moscone Center, San Francisco, CA. EERE Successes: Highlighting the Positive Impacts of EERE. Plug and Play: Purchase, Install, and Connect Residential Solar Power in Hours. 2014 In Review: A Few of our Favorite Things. Can you put solar on your roof in 75 minutes? We can..
Plug and Play Solar: A Framework to Dramatically Decrease Solar Soft Costs . 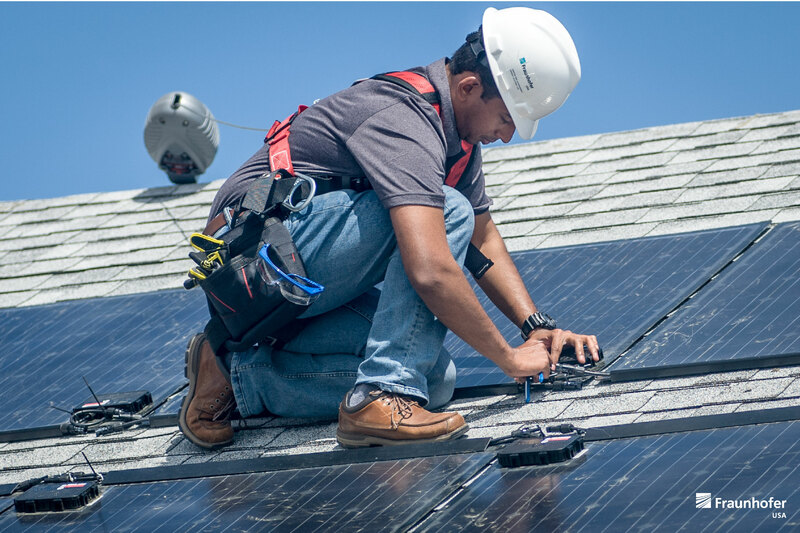 Plug-and-Play Solar Systems: Automating the Permitting, Inspection and Interconnection Processes. 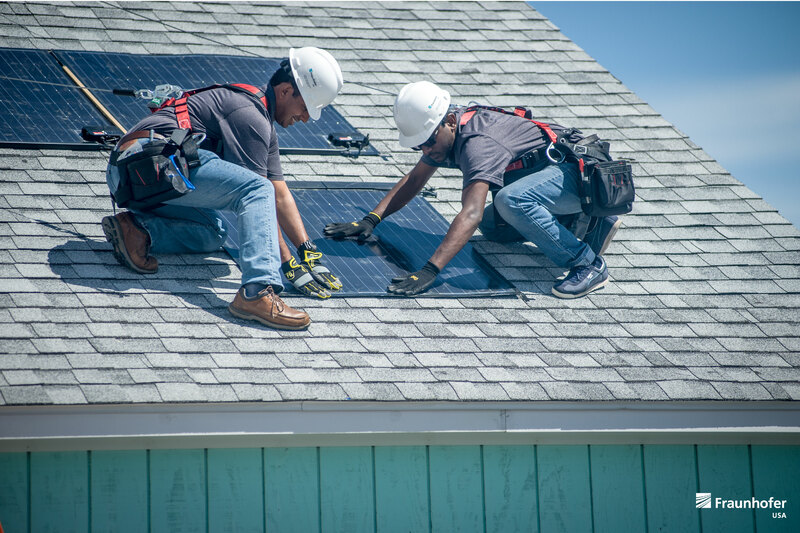 Plug-And-Play Residential Solar In Five Years? Fraunhofer USA And Partners Are Working To Make This A Reality. Kicking Off 'Plug-and-Play' Solar, CSE Hosts First SunShot Project Meeting. 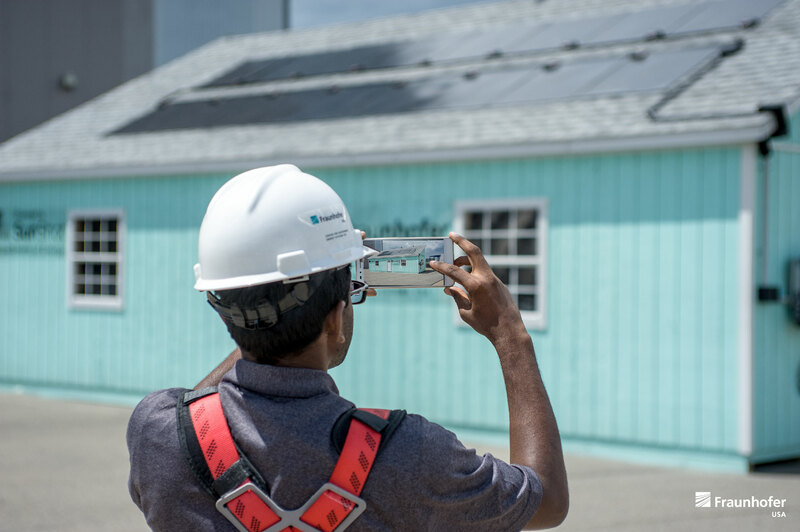 Fraunhofer granted $11 million SunShot plug-and-play grant. 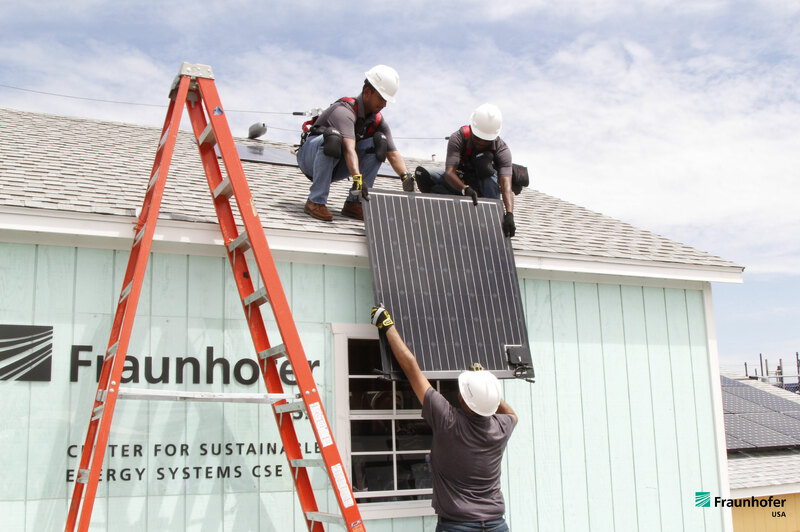 Fraunhofer snags $11.7M funding from DOE for 'plug and play' solar project. Plug-and-Play Research Wins $11.7 US DOE Investment. 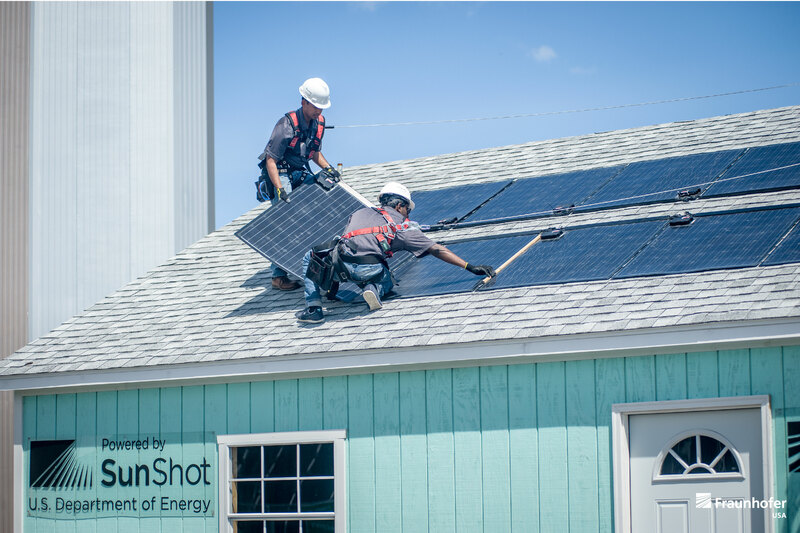 Fraunhofer Center for Sustainable Energy Systems Selected to Lead U.S. DOE SunShot Project. Fraunhofer Center for Sustainable Energy Systems Selected to Lead US Department of Energy Sunshot Project.